Welcome to our PlayerUnknown’s Battlegrounds Machine Guns List. You can view the TOP 3 Best Machine Guns in PUBG and other useful Tips and Tricks. We have also included some important Weapon Stats, such as Bullet Speed, Range and Damage. This gun type is most effective in CQC (Close Quater Combat), however, in desperate times, it can be used long range. Where this weapon type lacks range it more than makes up for in Fire Rate since most Machine Guns can unload large amounts of bullets in a short time. 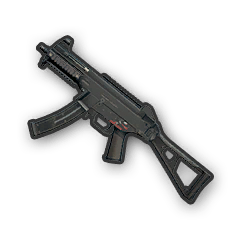 PUBG Light Machine Guns and PUBG SubMachine Weapons often do well in close range to mid range combat. The M249 is the exception due to its long range capabilities making it one of the few GOD Tier Machine Guns In PUBG. The Best PUBG Sub-Machine and Light Machine Guns. Recommended Modifications for a PUBG Machine Guns. SMGs Hides the flash effect when the weapon is fired, and by thus making it far harder to see your precise location. The hider also provide some recoil reductions. SMGs Counter the recoil of a firearm and prevent the muzzle from climbing due to kickback from the rapid firing. SMGs Reduces firing sound and bullet echo. Stock For Micro UZI Improved accuracy and stability.